In 2002 I moved into this studio and gallery from an earlier studio located just a block away. 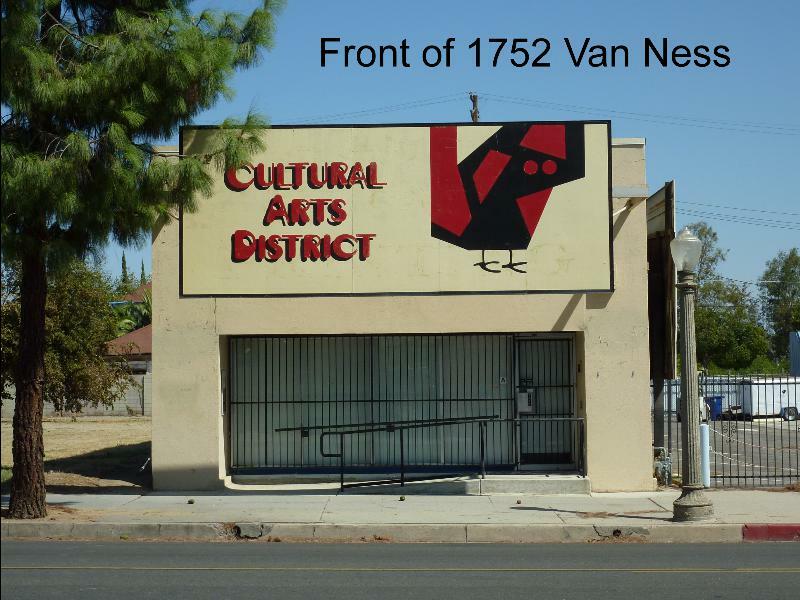 Being downtown for over 15 years, I showed my support for the cultural growth and vitality of Fresno by having the "Cultural Arts" logo proudly displayed on the front of my studio. This sign was painted by the late Francisco Vargas, using the cubistic bird desgin from one of my paintings. I am open for the ArtHop venue on the first Thursday of every month, and by appointment. Some photos of my studio are shown to illustrate my gallery area, and my workspace.